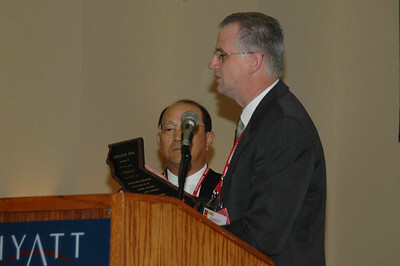 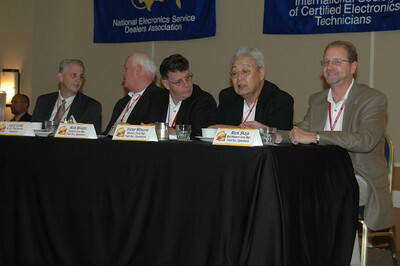 Randy Whitehead CSM and Mr. Hiro Abe, President of Pioneer Service. 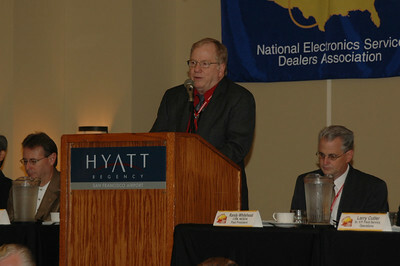 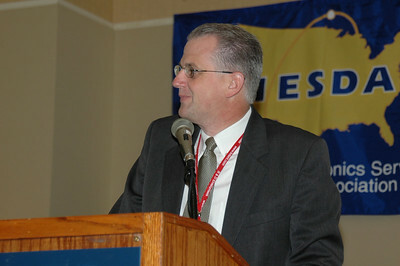 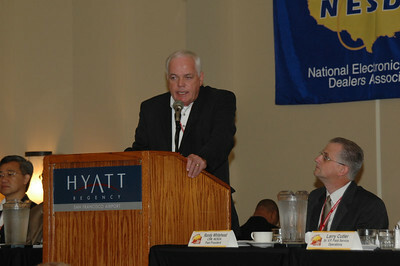 NESDA Executive Director Mack Blakely makes an announcement. 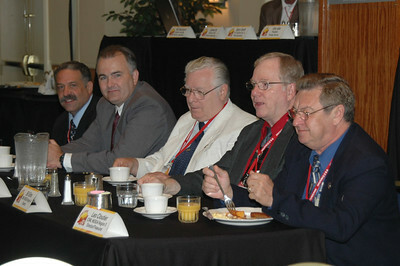 Pioneer Service management team enjoys breakfast. 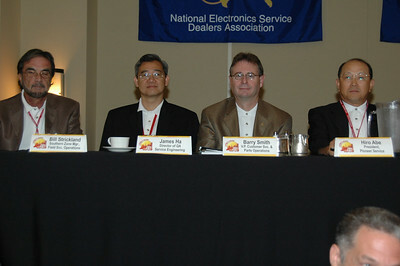 Left to right, Randy Whitehead CSM, Larry Cutler, Nick Milazzo, Victor Mitsuni, Mark Skaja. 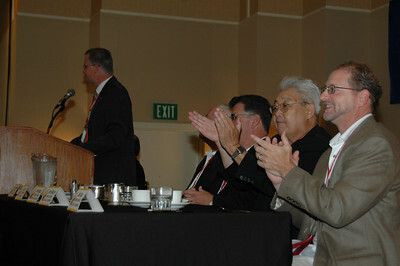 NESDA Region Directors Paul Burgio; Doug Freeman CSM; George Weiss CSM, EHF; Bill Sims CSM; and Leo Cloutier CSM were seated at the front of the room at the Pioneer Breakfast. 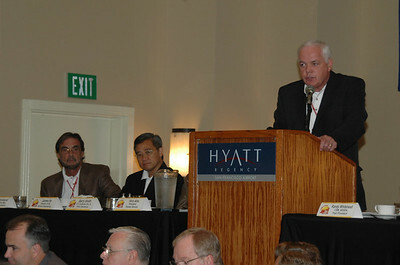 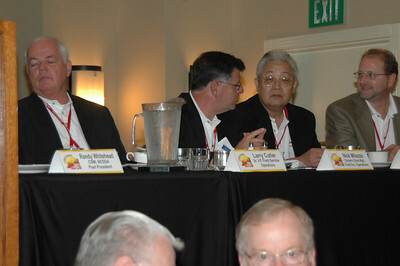 Pioneer Management team continued: (left to right) Bill Strickland, James Ha, Barry Smith, and Hiro Abe. 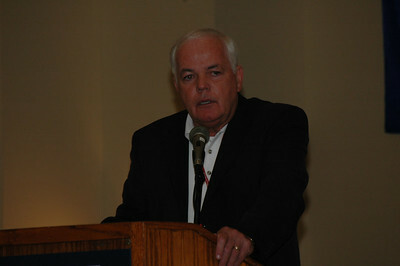 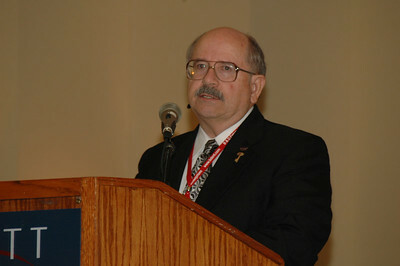 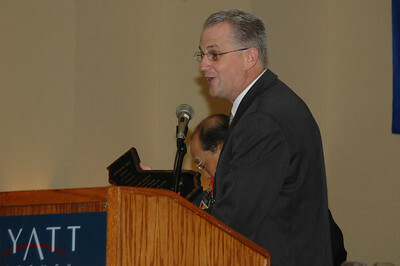 Randy Whitehead CSM emceed the breakfast. 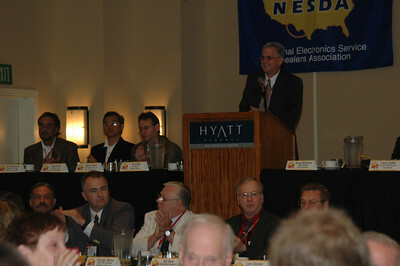 Larry Cutler of Pioneer addresses the NPSC crowd at breakfast. 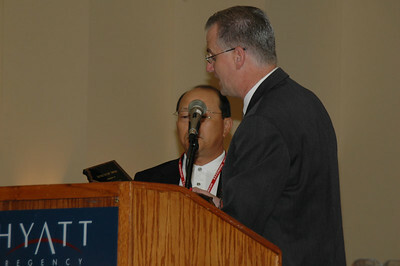 Randy Whitehead CSM emceed the Pioneer breakfast, and presents a thank you plaque to Mr. Hiro Abe, President of Pioneer Service, for sponsoring the breakfast. 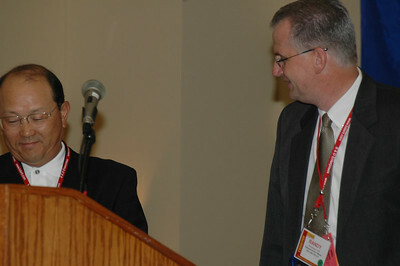 Dave Bates CET won a door prize at the Thomson luncheon. 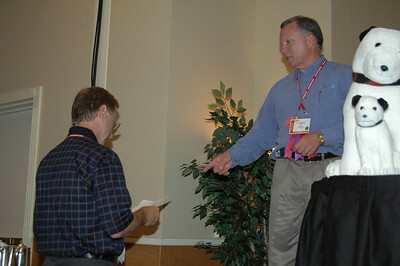 Randy Collins of Thomson presents a certificate so Dave can claim his prize. 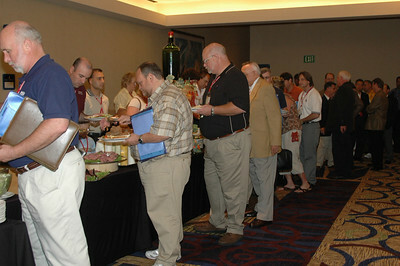 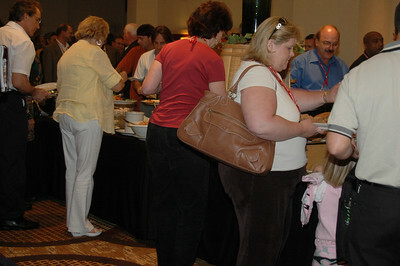 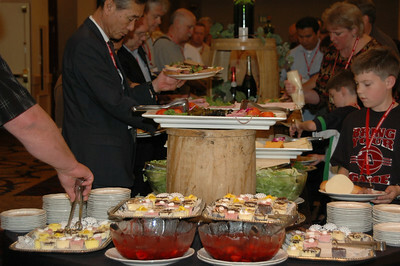 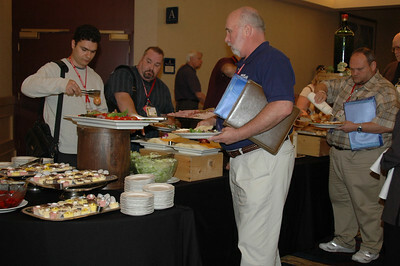 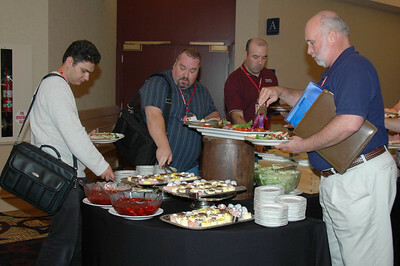 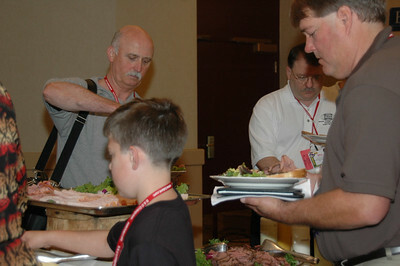 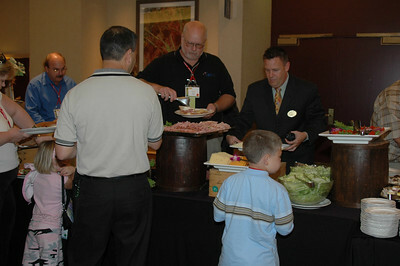 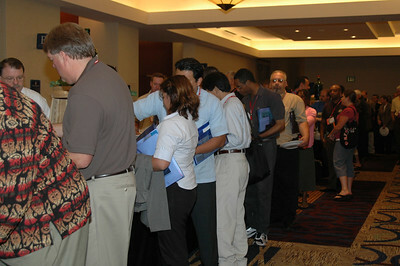 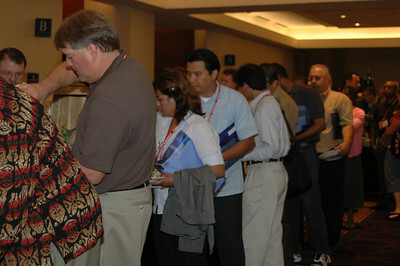 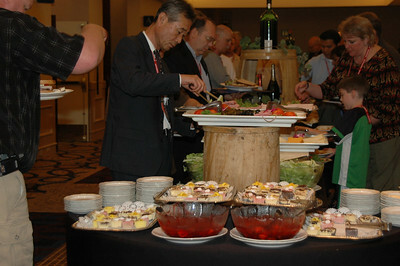 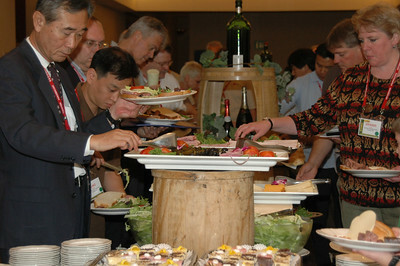 Convention-goers fill their plates in the buffet line at the Thomson luncheon.